The Boston piano began as a challenge: to create a piano with a level of performance and quality far superior to any instrument in its price range. The result is a piano that takes advantage of high-tech manufacturing procedures while still adhering to the old-world standards of artistry and craftsmanship that Steinway & Sons pianos are known for. 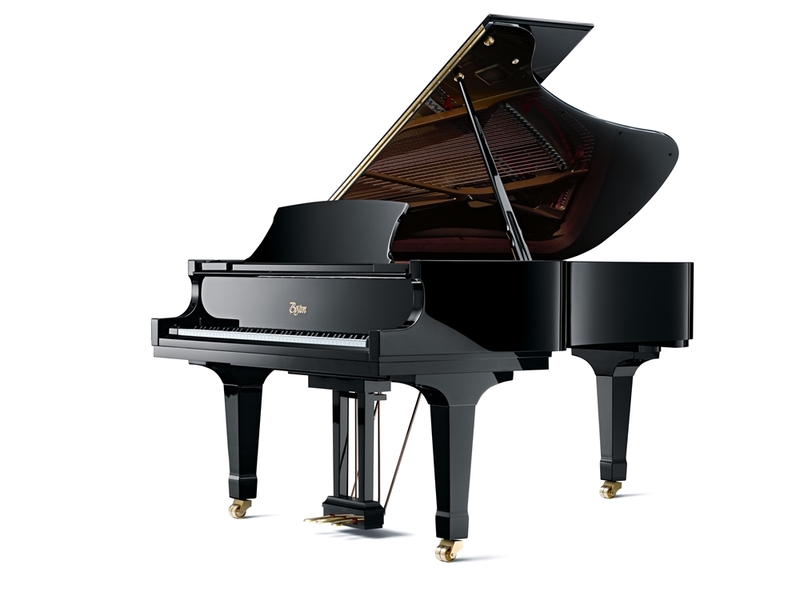 Boston pianos have many of the patented features found only in Steinway & Sons pianos. Two main features are the maple inner rim, which increases structural integrity and improves the tone by isolating the soundboard, and the patented Octagrip™ Pinblock which provides a smoother pin turn and more consistent pin torque, allowing more precise tuning and allowing the piano to hold its tune better. Click here to browse Boston pianos. We believe so strongly in Boston pianos that we give every purchaser a Lifetime Guaranteed Trade-back certificate. 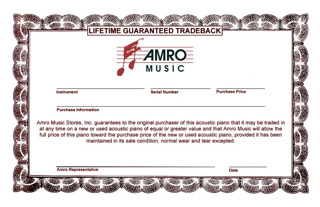 The certificate states that you can trade your Boston piano back to Amro at any time and Amro will give you everything that you paid for it toward the purchase of any piano of equal or greater value. That's better than any warranty — it's total peace of mind. And perhaps you'll do so well on piano you'll want to move up to a Steinway.